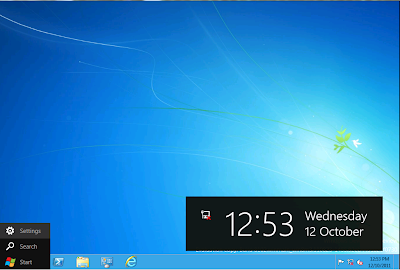 A bit on the history , Microsoft release Windows 2003 @ the year 2003, Windows 2008 @ the year 2008. 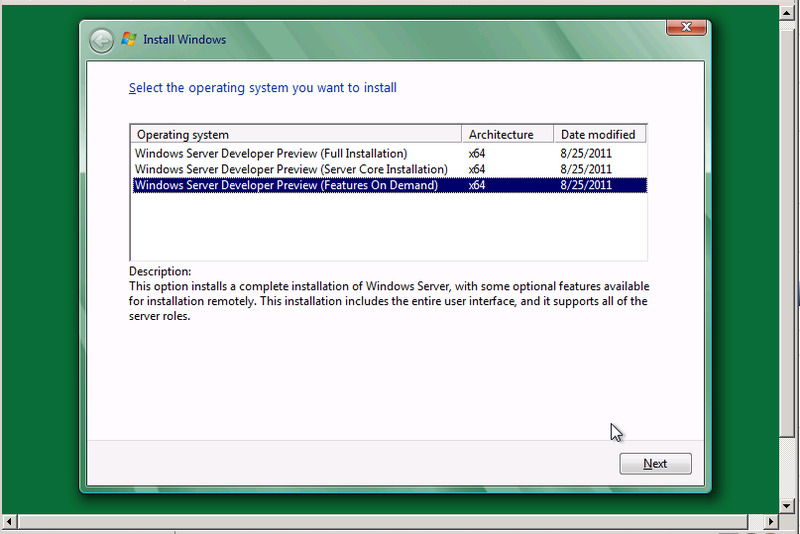 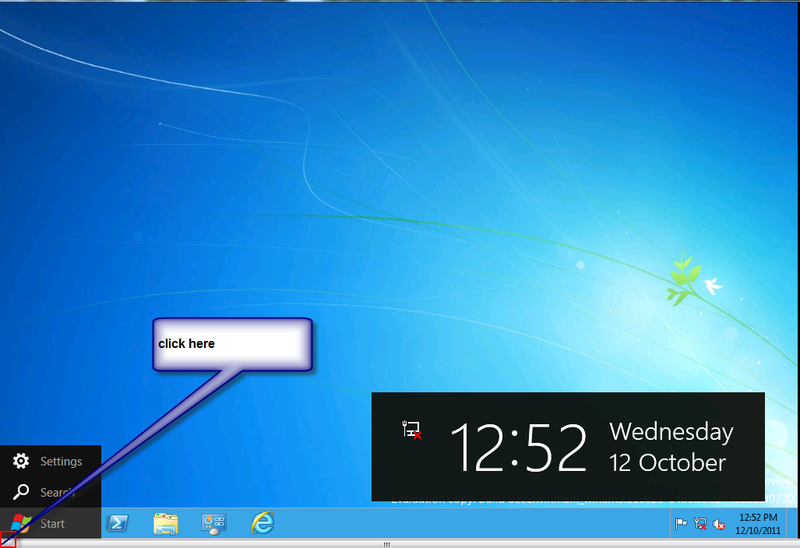 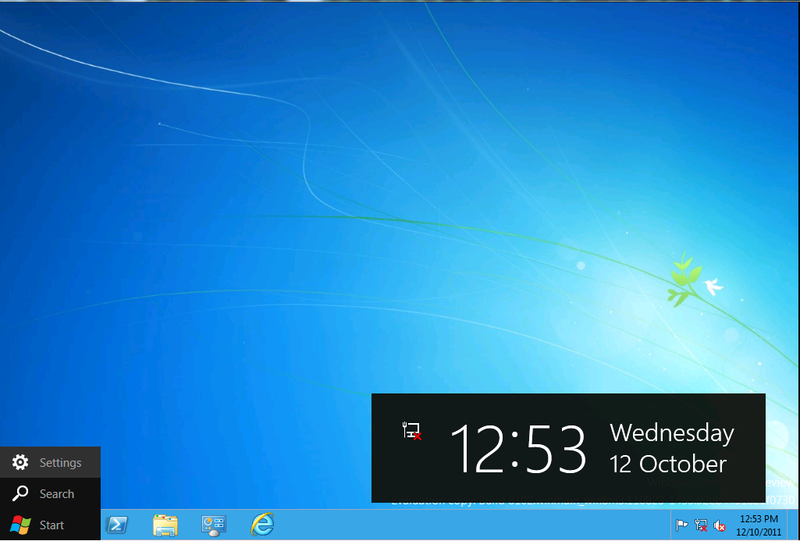 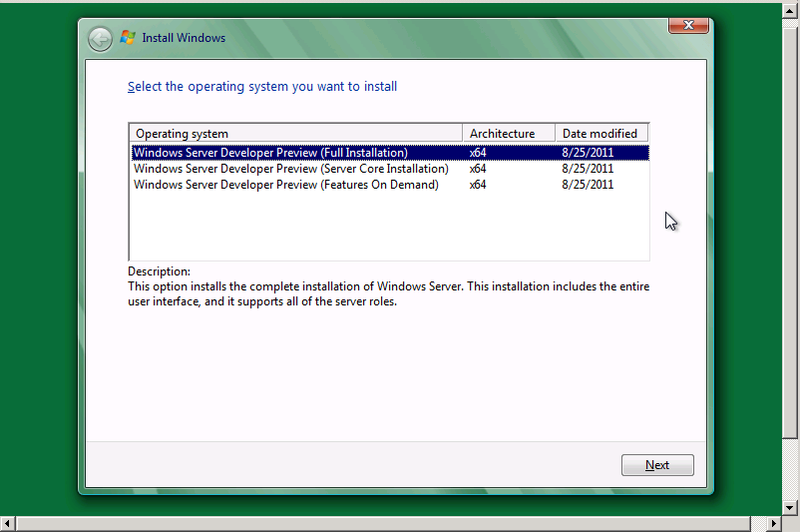 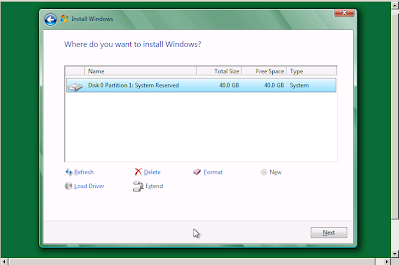 Are we expecting 2012 , the new operating to be name as Windows Server 2012?. Personally I don't know what its going to be called and the name subject to be change. The latest release Microsoft on Windows Server 2008 & Windows Server 2008 R2 come with 2 flavor of installation.It was known as server core installation to minimize the surface attack according to Microsoft. 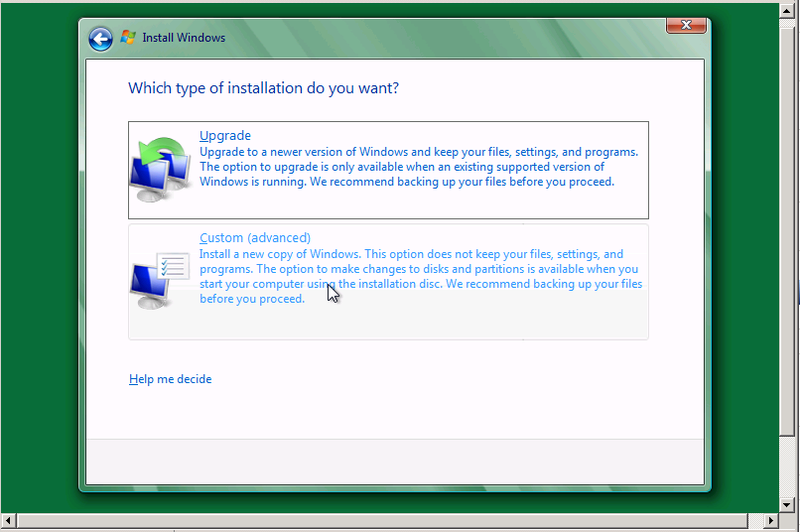 In the previous version, it also have the limitation, whereby if you install the core edition and later you found out that you need the full installation Operating System. 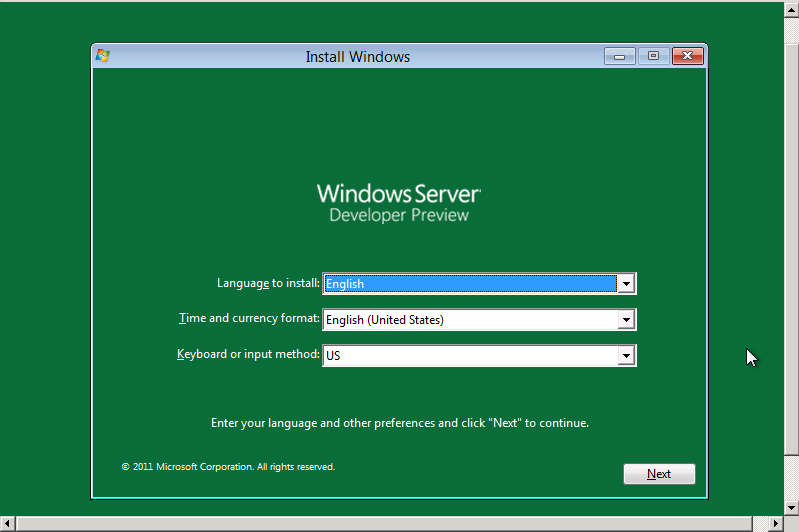 The only way for you to do so will be by formatting the entire server. 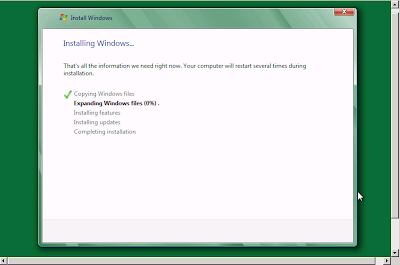 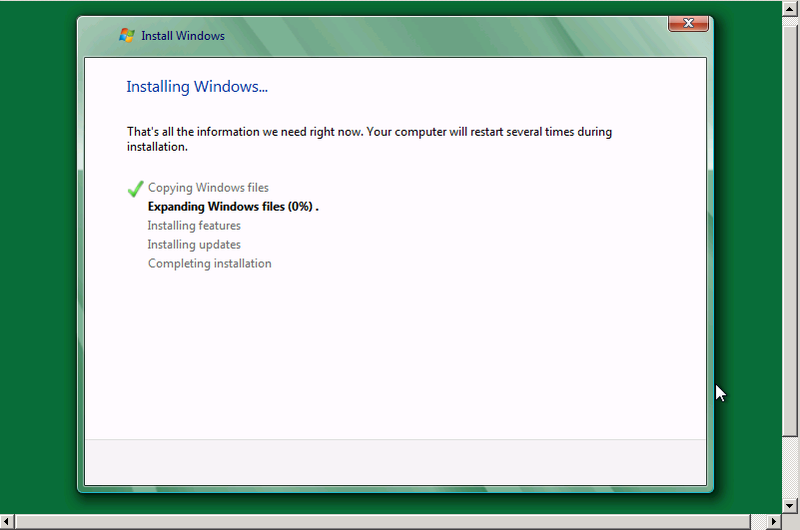 While in the latest release, you can change between core and full installation according to Microsoft. 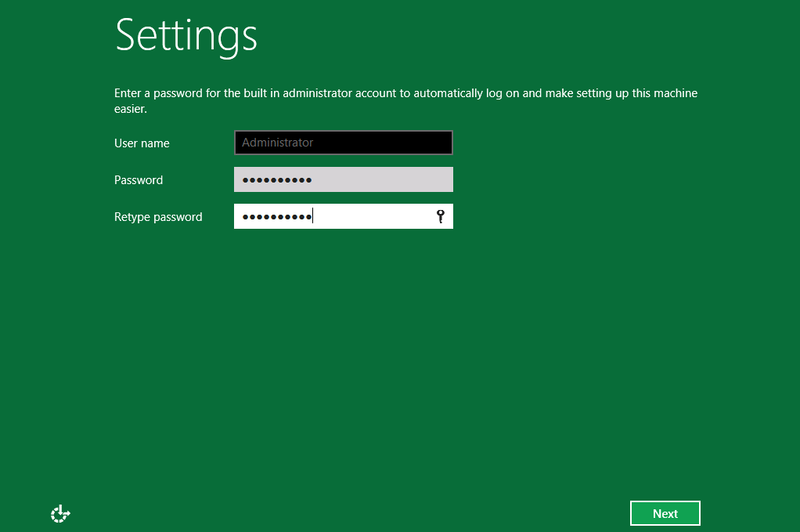 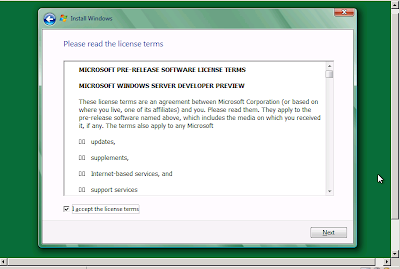 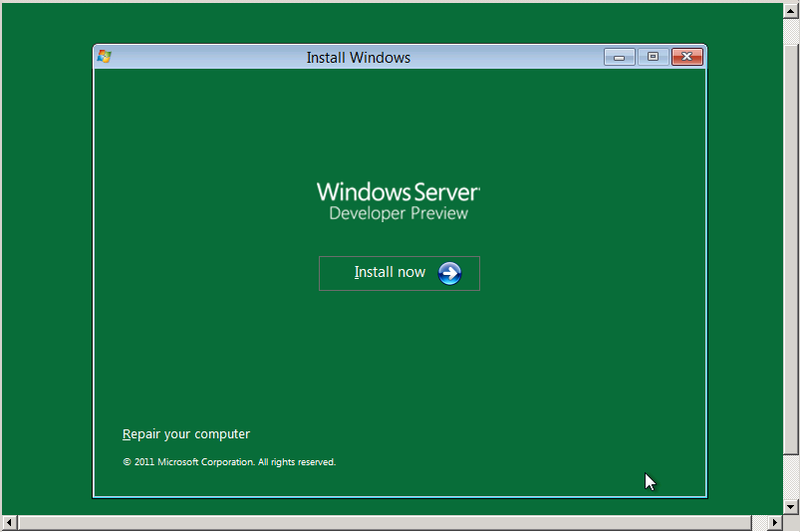 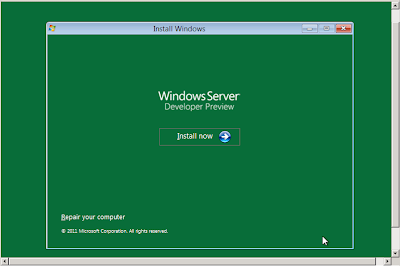 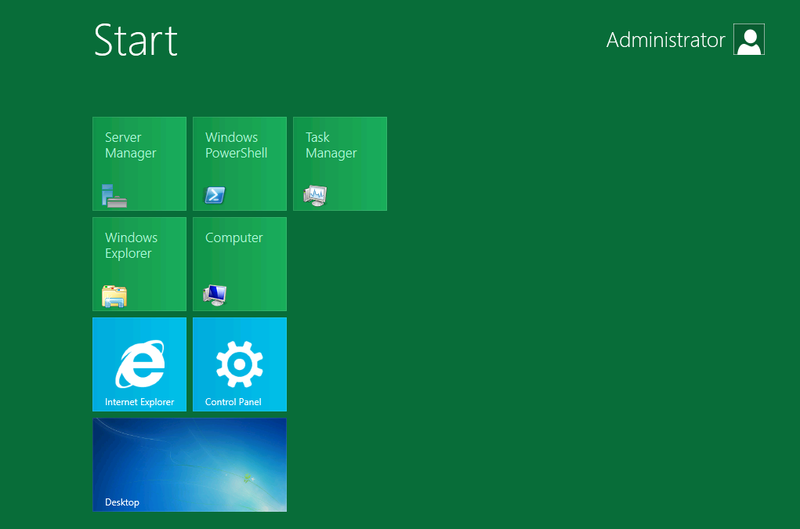 The latest version of Windows Server with the code name "Windows Server 8". 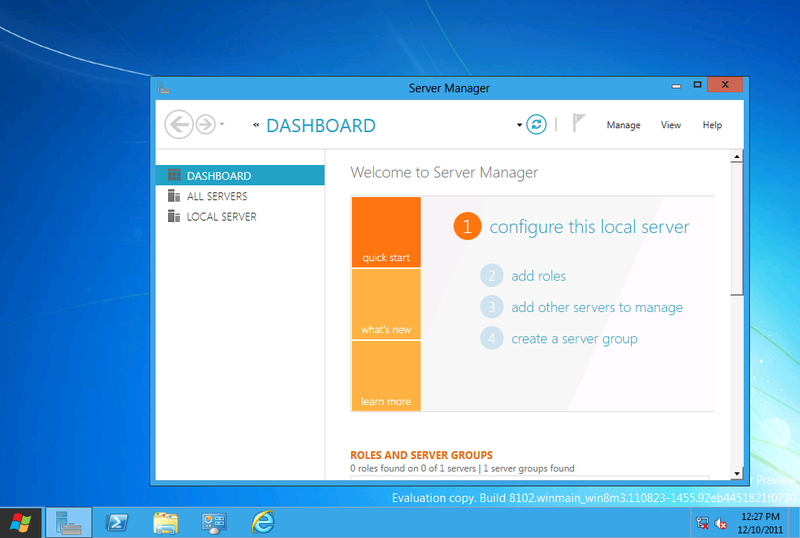 You can now choose between a Server Core installation, Feature on Demand and full installation. 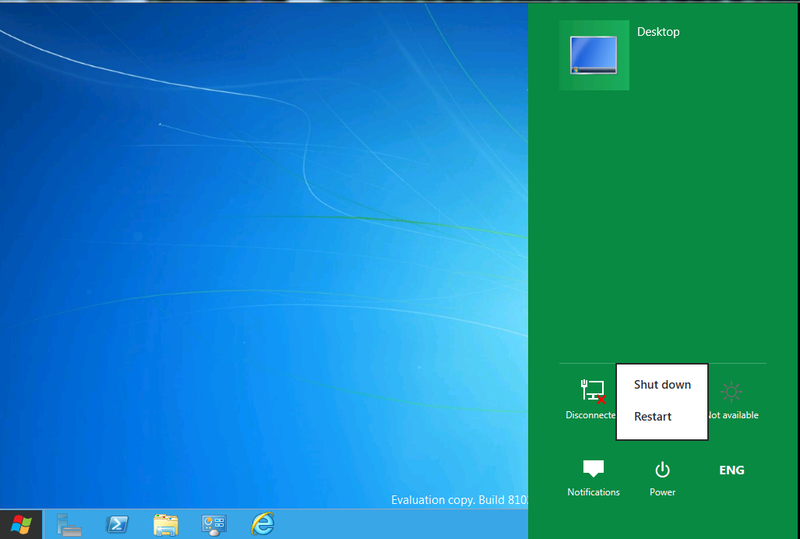 Here I would like to show the screenshot of the new operating system that going to be release next year.The operating system was installed on top of Windows Server 2008 R2 X64 SP1 on i52500 intel CPU with 16GB ram with HYPER-V installed.If you notice the background all start with Green .I am not sure the reason behind but at least it is good for eye:). 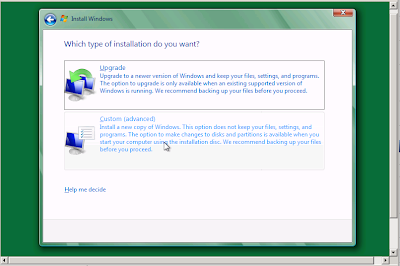 As mention earlier, now you got to see 3 type of installation available. 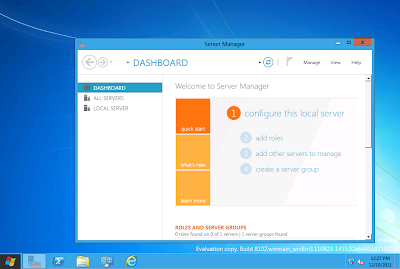 If you are aware, in the previous version of server manager have been improved into dashboard type. 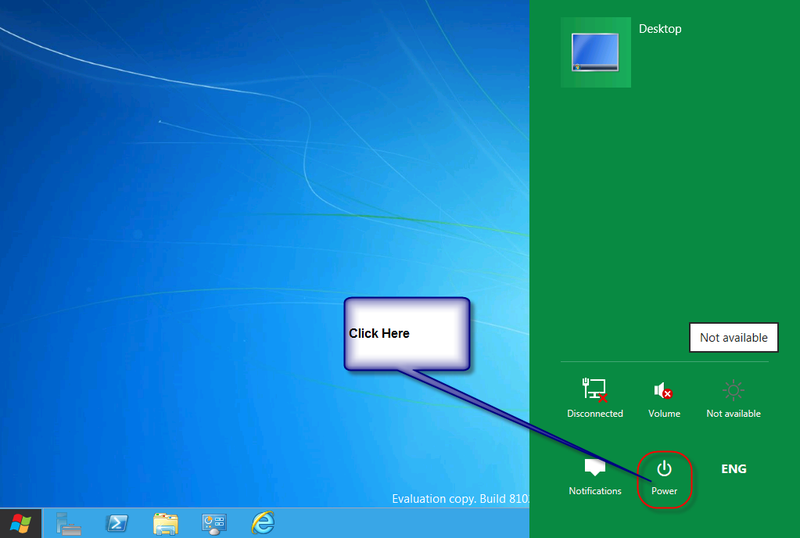 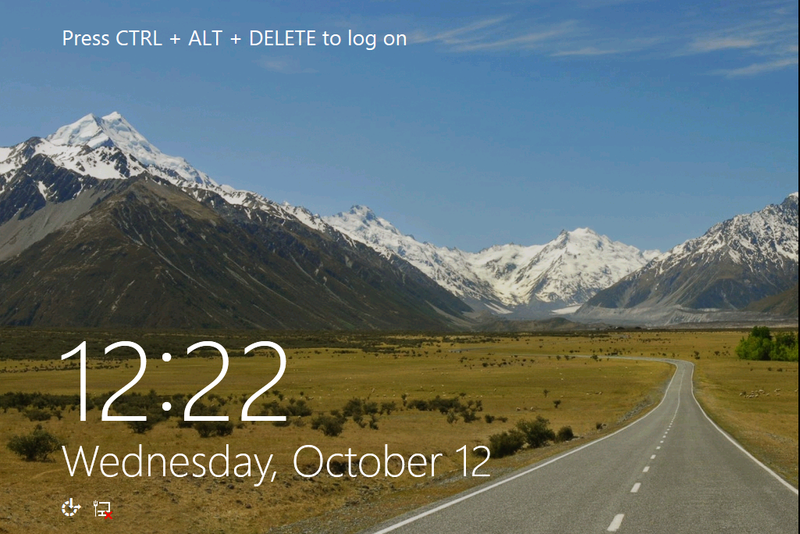 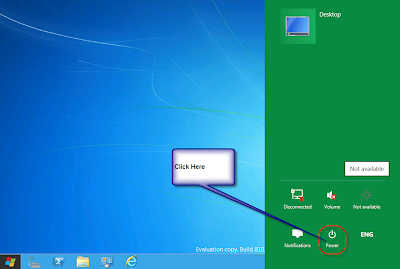 Once you click on the Windows Start button it will bring you the screen above. If you do notice, the shutdown button or restart button is missing. Don't worry, the button it is still there .It just hide some where as screen below.I hope Microsoft will enhance this and relocate the shutdown button to a place where by it is easy to be noticeable. 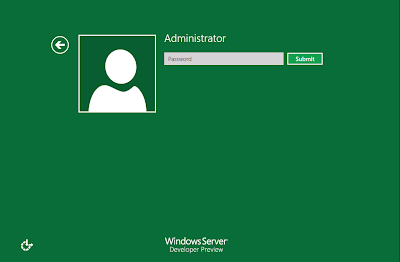 Overall I am quite impress with the design and shall give you more updates on my next blog on virtualization , Security feature such as RBAC, Business continuity feature and other will benefit the organization.